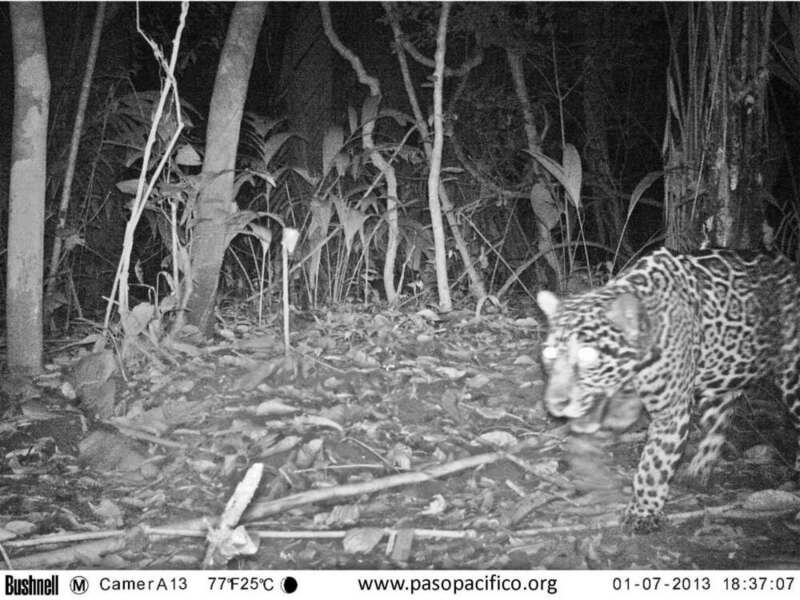 The first phase of research ends on a very good note with the re-capture of a jaguar captured months earilier in a different region of the Colon forests of southwestern Nicaragua. Fortunately the previous set of photos were of the same side of the jaguar walking in the same direction. We matched up the jaguar's unique rosatte and spot markings (like fingerprints) with the previous set of photos. The discovery of only one jaguar in this portion of the study area makes sense because jaguars are solitary and territorial big cats that defend large areas. Also, lake Nicaragua acts as a formidable boundary limiting the opportunity for overlap with other neighboring jaguar territories. The first phase also ended with the discovery of a Baird's tapir along with more documentations of ocelots, jaguarundis, tamanduas, coatis, agoutis, pacas, armadillos, rabbits, opossums, skunks, and raccoons. 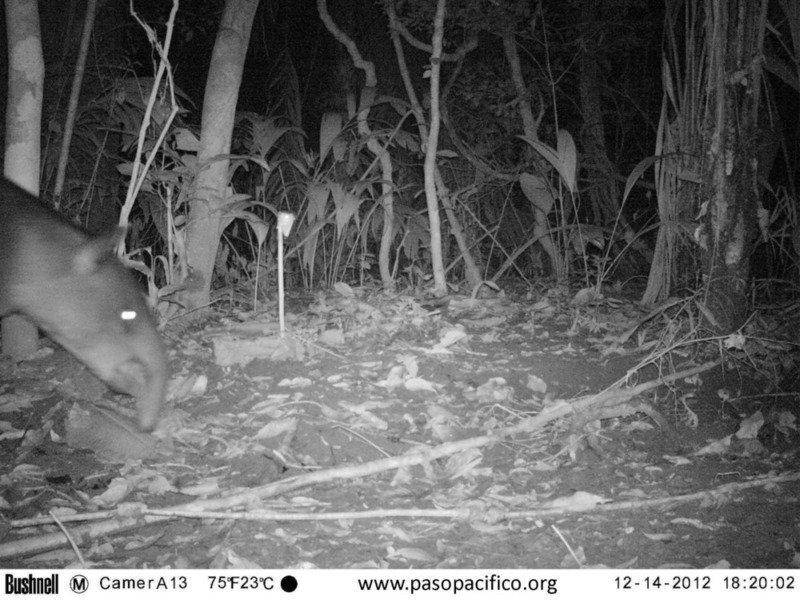 Aside from the jaguar re-capture, the discovery of Baird's tapir is most exciting because they are the largest mammal of central America and sadly listed as an endangered species by IUCN's Red list. These fascinating animals live in dense jungles close to water. They are great swimmers and can even use their long and flexible snout like a snorkel with the rest of their body submerged. Their only predators are adult jaguars and American crocodiles. Tapirs have even been known to use their big size to survive attacks from jaguars and crocodiles. Tapirs may seem related to elephants because of their large prehensile snout but they are actually most closely related to horses and rhinoceroses. Similar to jaguars, habitat loss is the main threat to their survival but they also have been known to contract diseases from livestock, illegally hunted for food with minimal penalties from authorities. Also, their gestation period lasts a lengthy 13 months and the single offspring stays with the mom for up to two years (born with stripes and resemble fuzzy watermelons). Therefore the combination of a low recruitment rate, habitat loss, disease and some hunting pressure makes them very vulnerable to extinction. 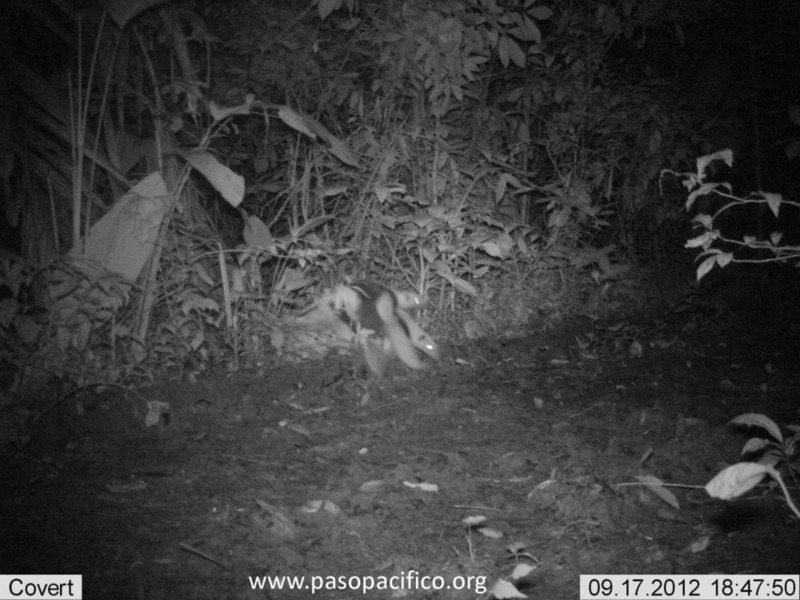 We hope habitat protection and restoration for jaguars will also benefit the endangered Baird's tapir. It is definitely a gift to get a photo of this endangered species because you hope it won't be the last photograph and that such information will help preserve it for future generations. The cameras were removed this week after 4 months of intensive surveying. We began our survey with the most contiguous and wild section of the study area so we could estimate what to possibly expect for the remainder of the more fragmented study area. Although the cameras documented a great deal of biodiversity, the majority of the photos have been of local farmers, cows, dogs, and even poachers, which provided us with a sobering reality check. The take home message is that enough biodiversity and connectivity remains in this section of the corridor. Therefore, we are hopeful that the species we've documented, especially wide ranging indicator species are resilient and adaptive enough to persist in the portions of the study area further up the isthmus. Finally, it is clear that the time for restoration, habitat protection, sustainable livestock management, and especially local outreach education is NOW. We are in the process of raising more funds to support the continuation of monitoring of the remainder of the corridor and also to invest in the implementation of equally (if not more) important outreach education to the local community. These programs would not only educate the public of the monetary and intrinsic value of jaguars and biodiversity but also educate locals how to coexist with jaguars while still making a living. 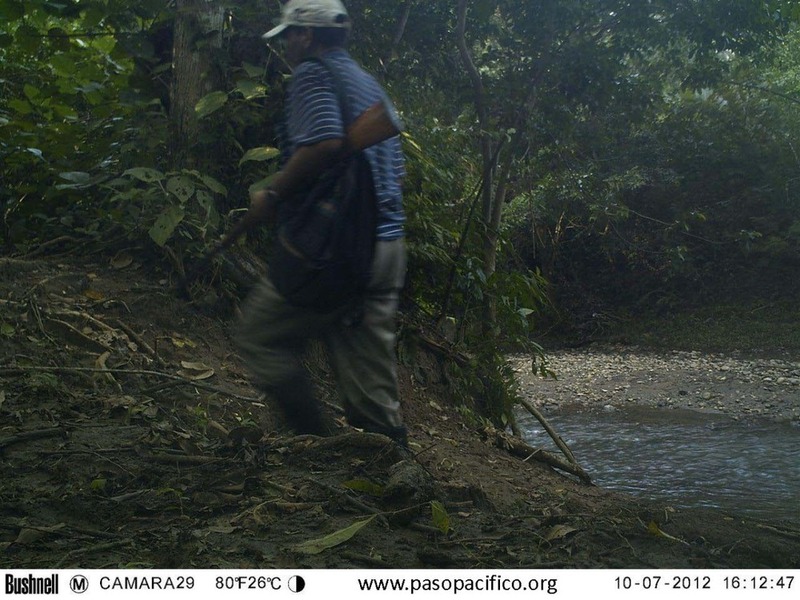 The first phase of this project again would not have been possible without the hard work and local knowledge of our camera trap monitor Marvin, Colon community leaders, local guides, and Paso Pacifico rangers. Together, they helped us find the best camera sites in Colon, protected cameras, and even recovered some stolen camera traps. We also greatly appreciate the generous donations of the Los Angeles Zoo, U.S. Forest Service Institute of Tropical Forestry, Ruckus Roots, Petridish, and generous donations from the general public. I know we just past the holiday season but please consider donating (http://pasopacifico.org/catalog.html?Vl=10&Tp=2) or even sharing the link to this blog so that this project can continue with a minimal delay. Thank you for your support.